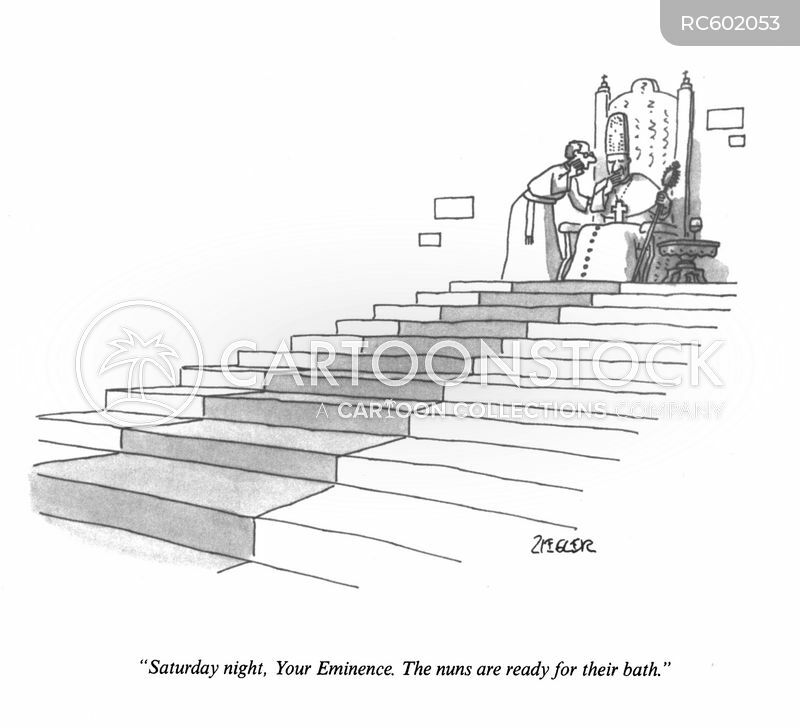 "Saturday night, Your Eminence. 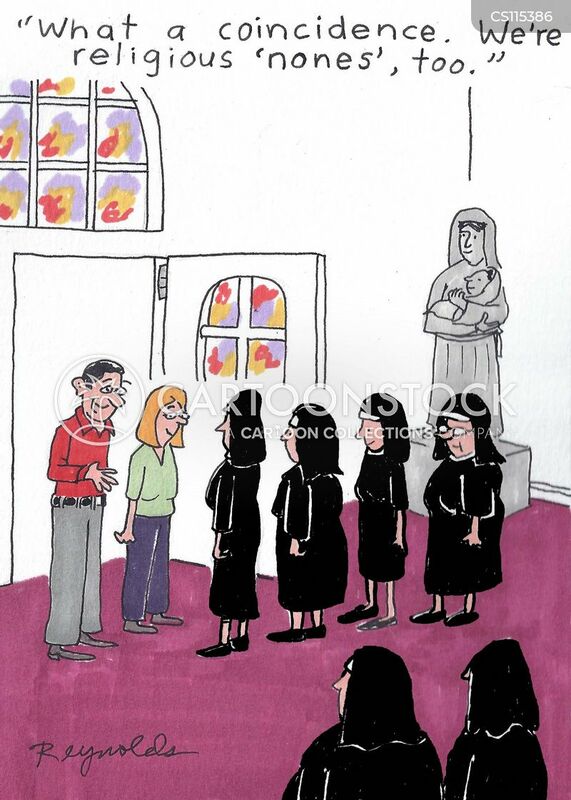 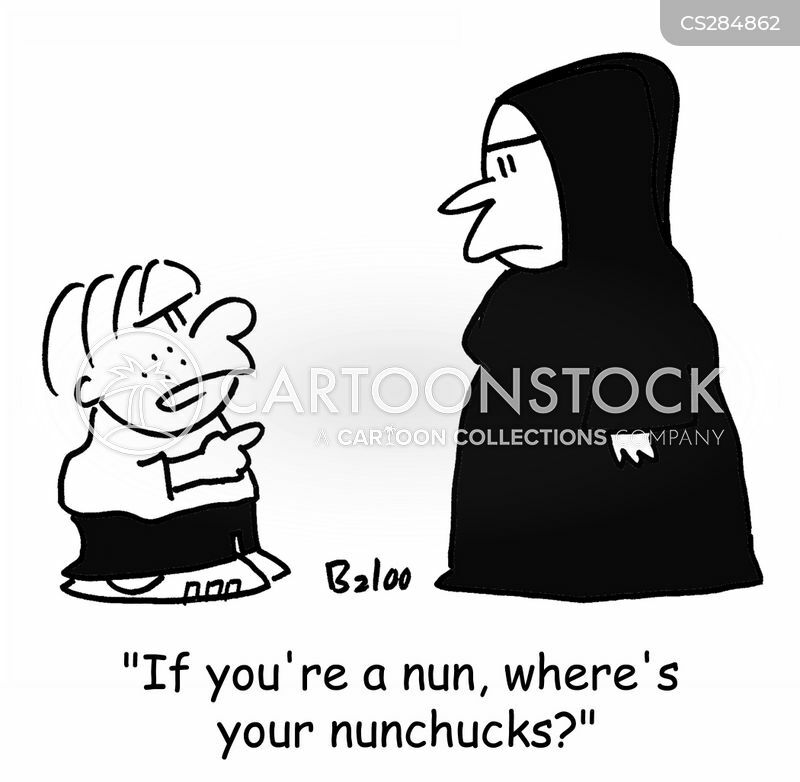 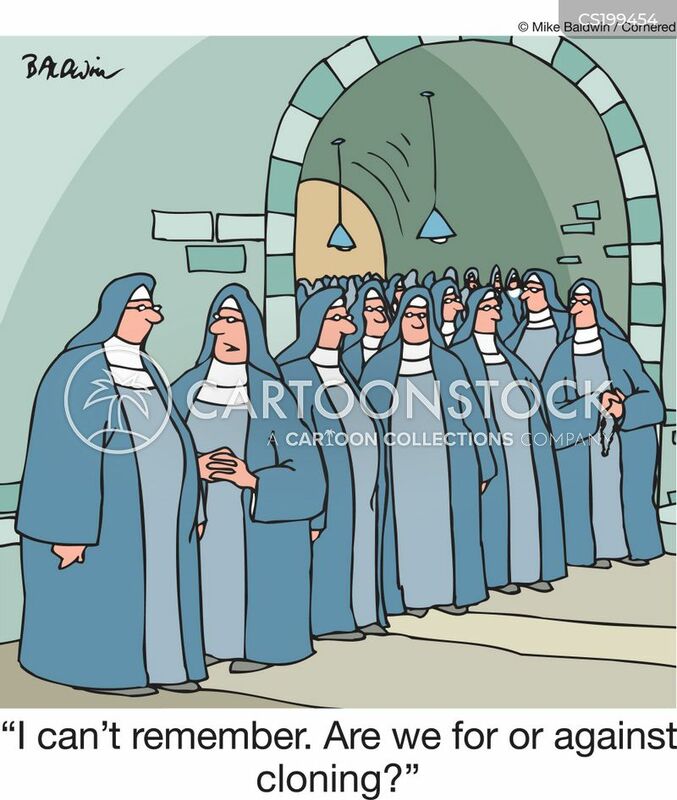 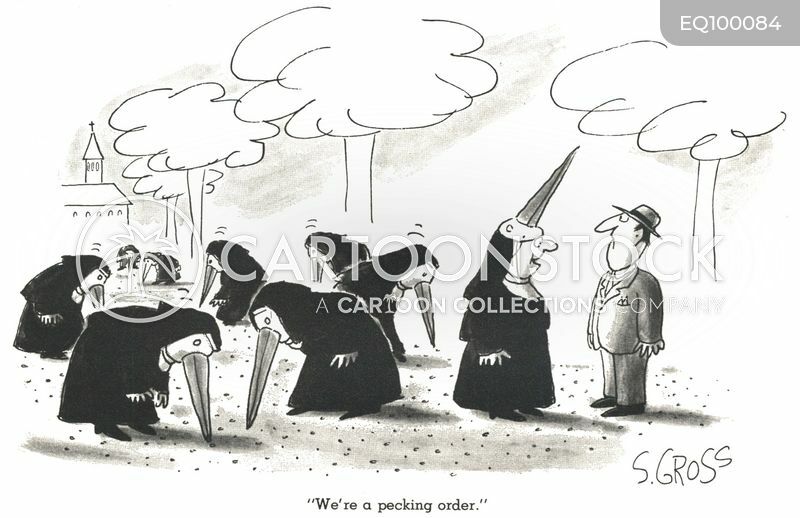 The nuns are ready for their bath." 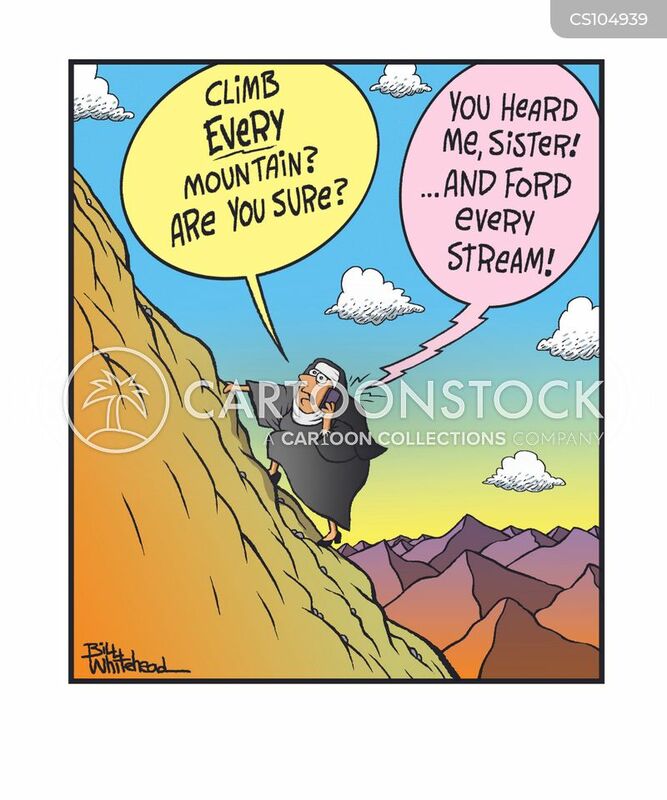 "Climb every mountain? 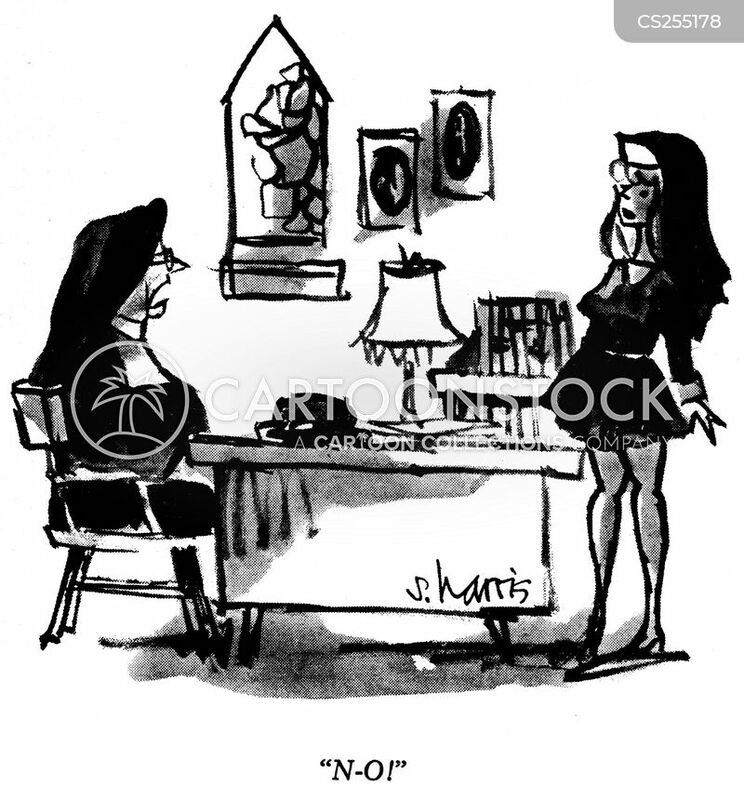 Are you sure?" 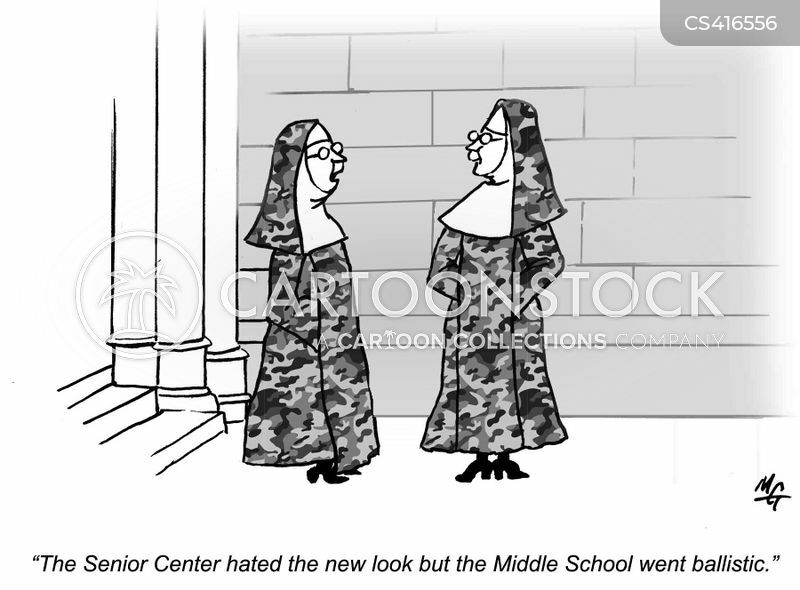 "What a coincidence. 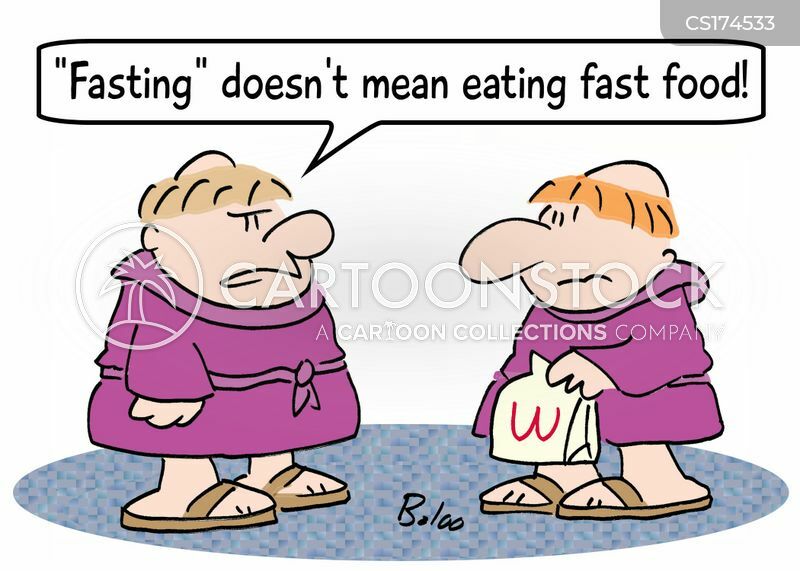 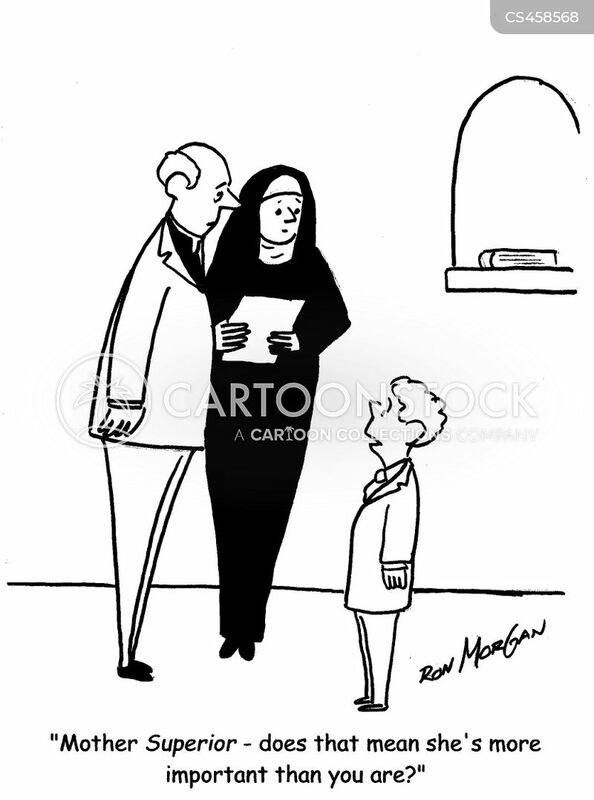 We're religious 'nones', too." 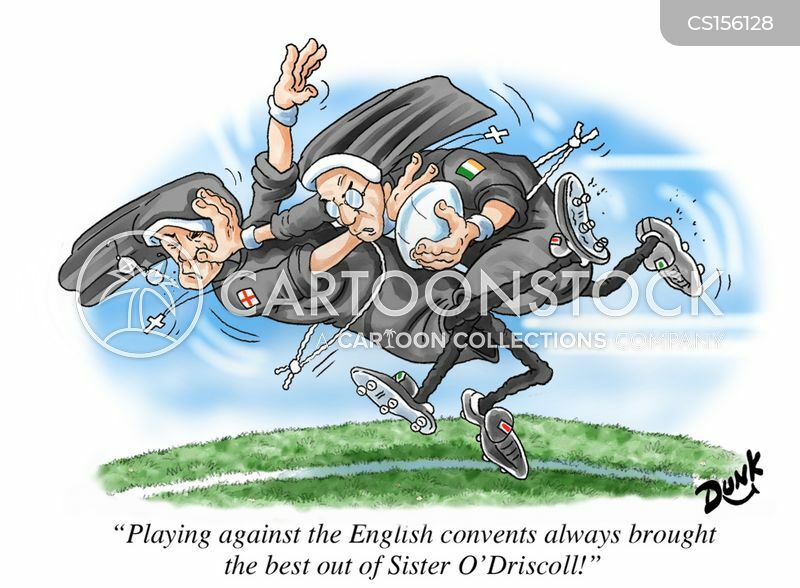 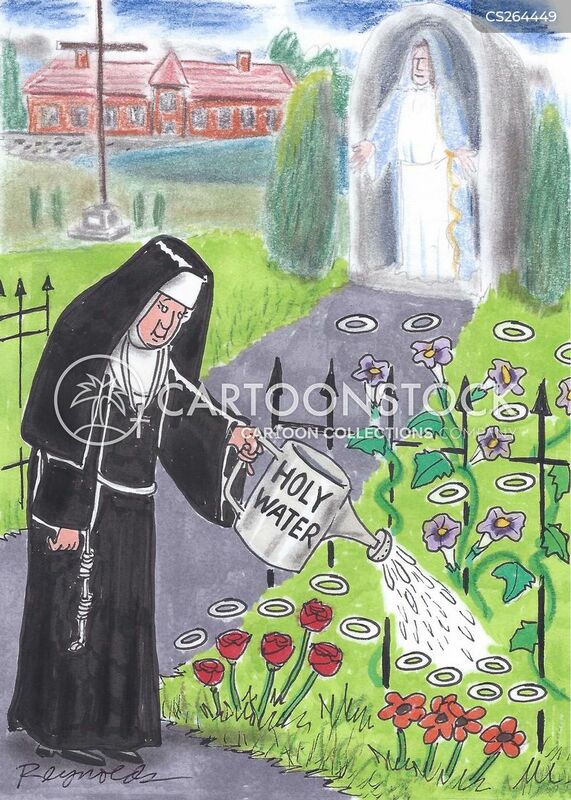 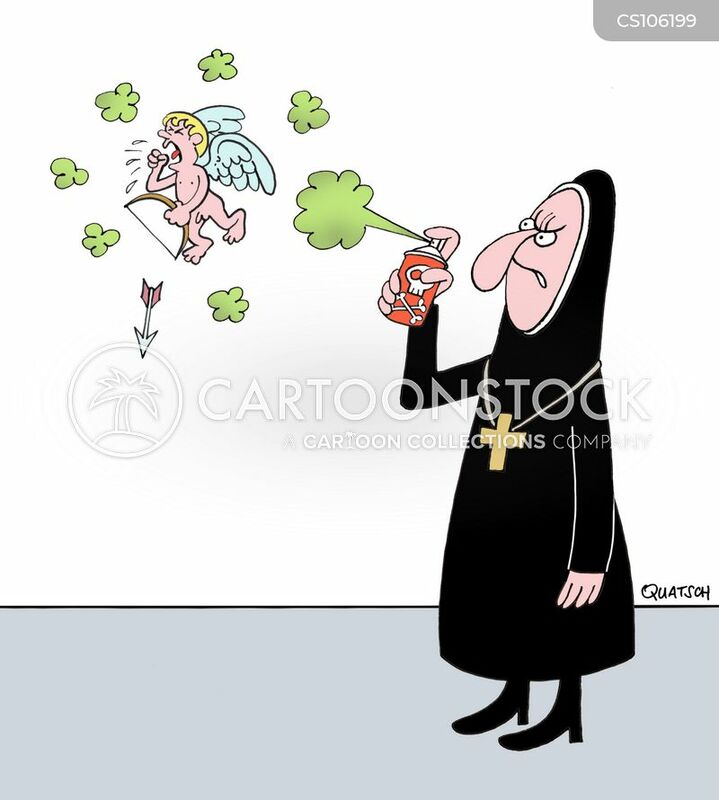 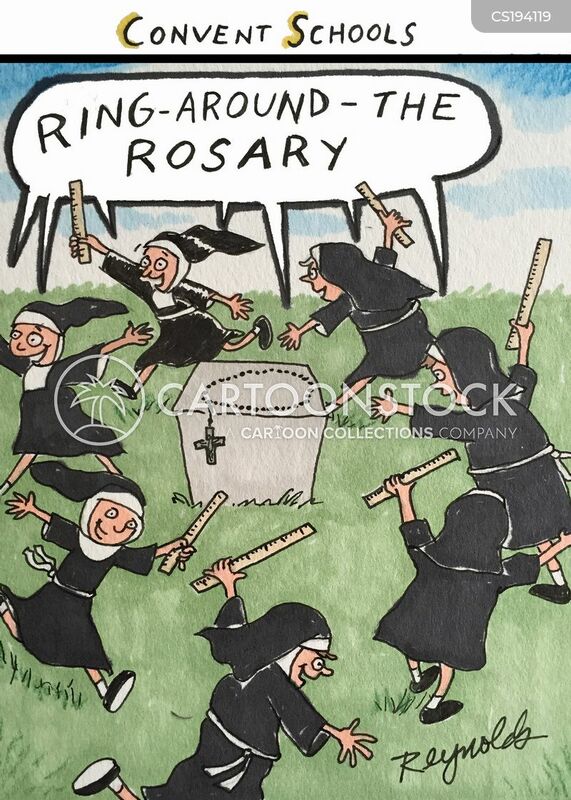 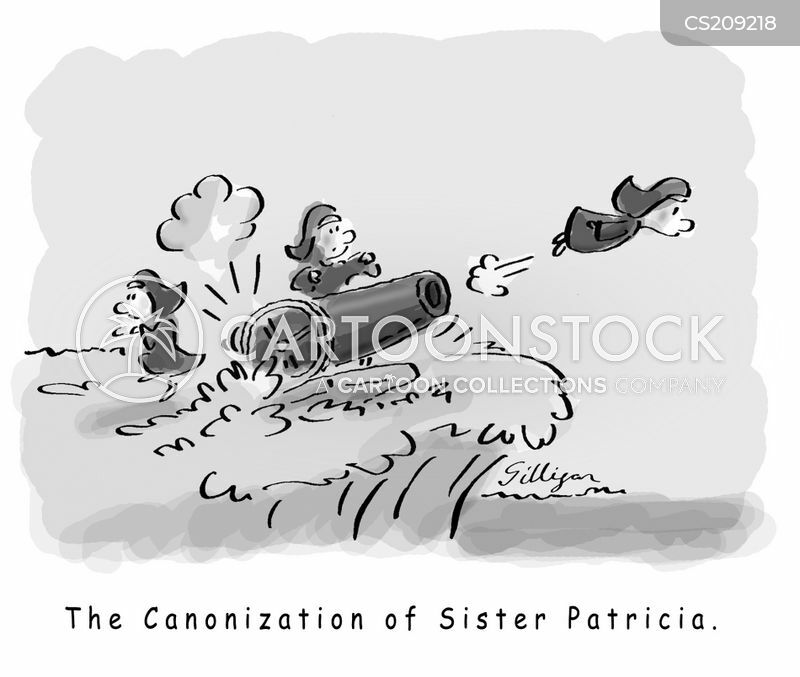 'The Canonization of Sister Patricia'. 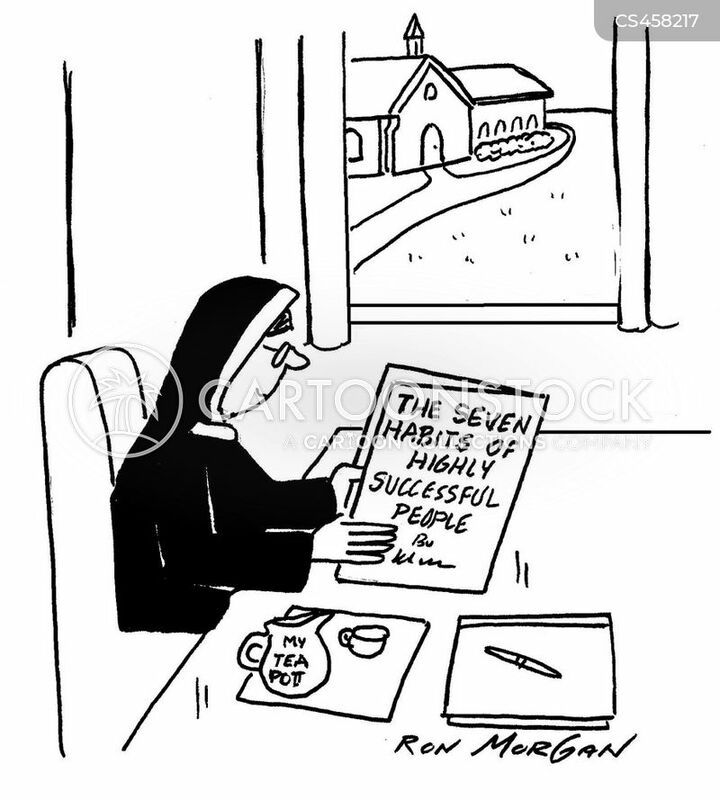 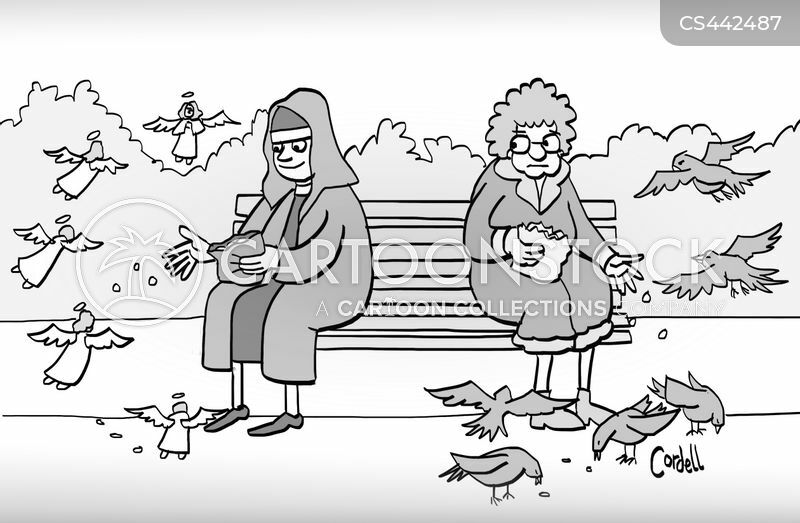 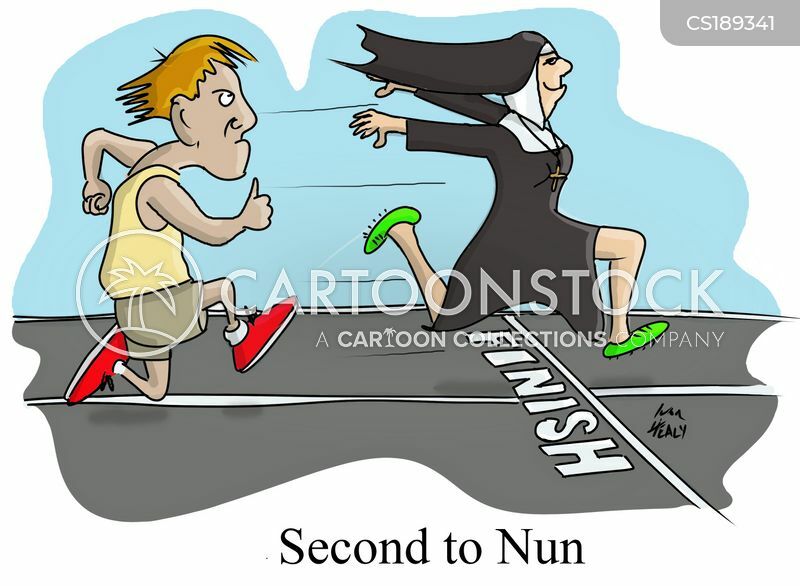 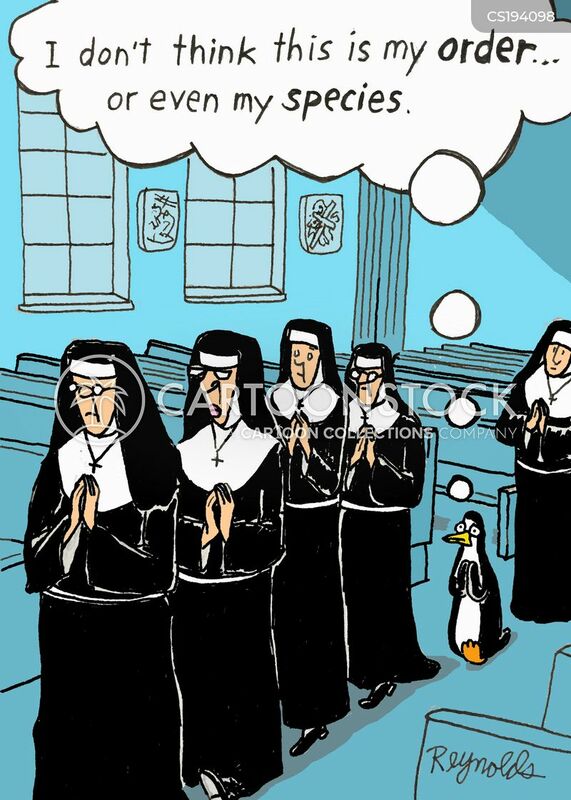 Nun reads book entitled The Seven Habits of Highly Successful People. 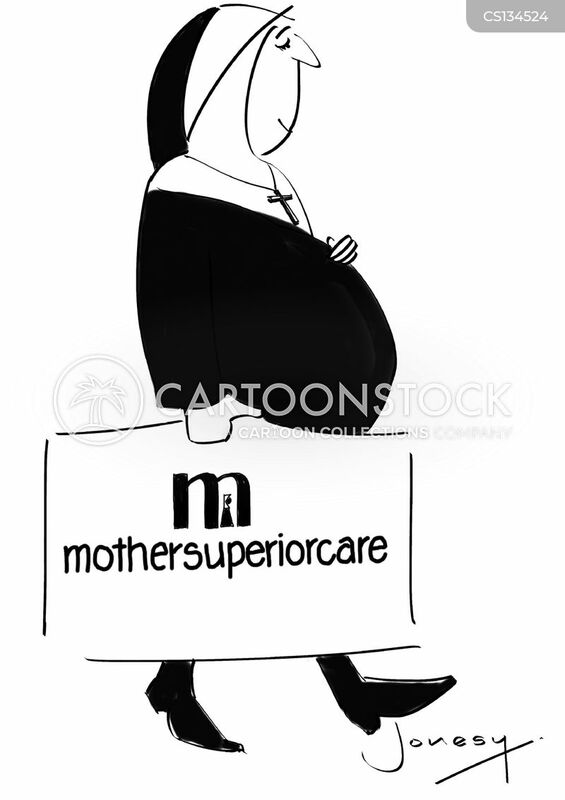 "Mother Superior - does that mean she's more important than you are?" 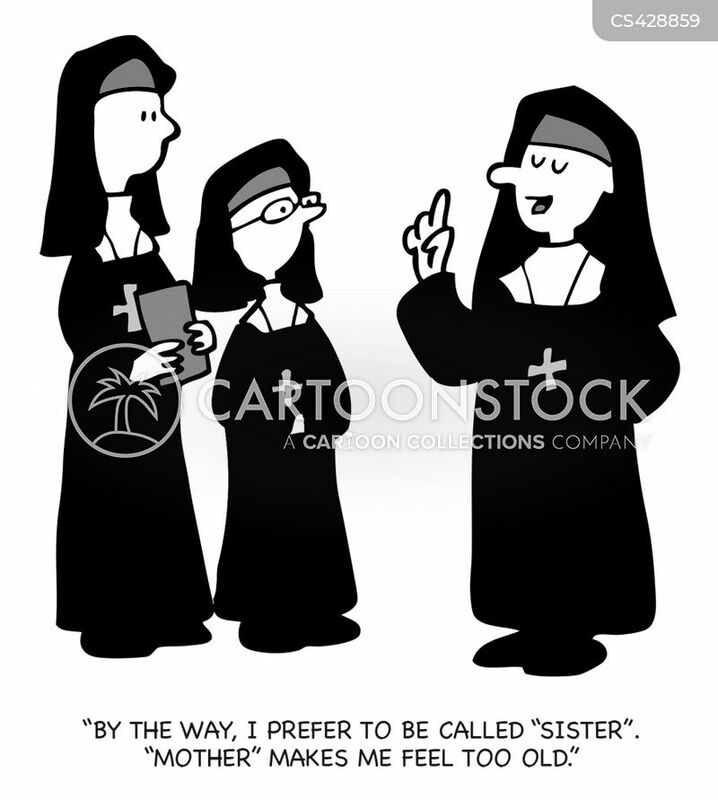 "By the way, I prefer to be called 'Sister'. 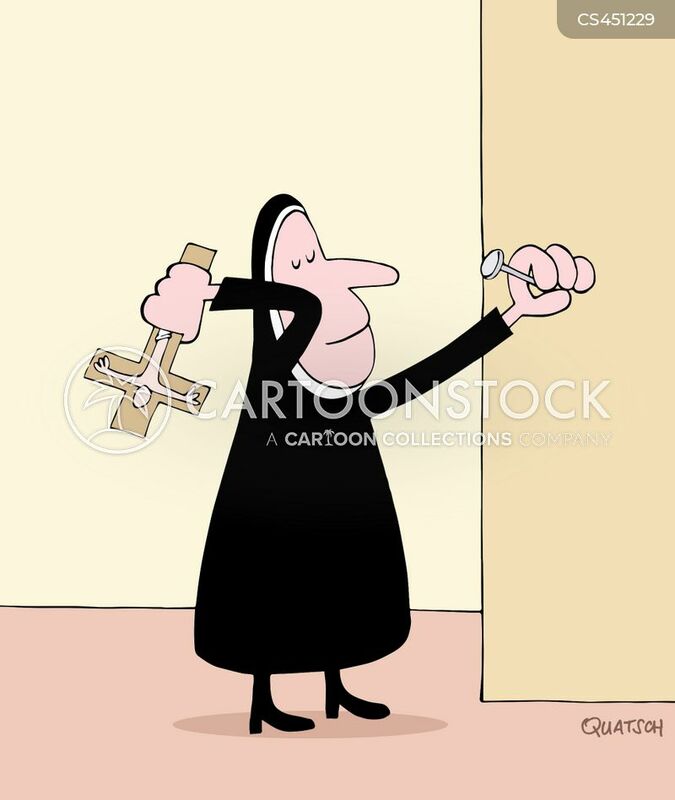 'Mother' makes me feel too old." 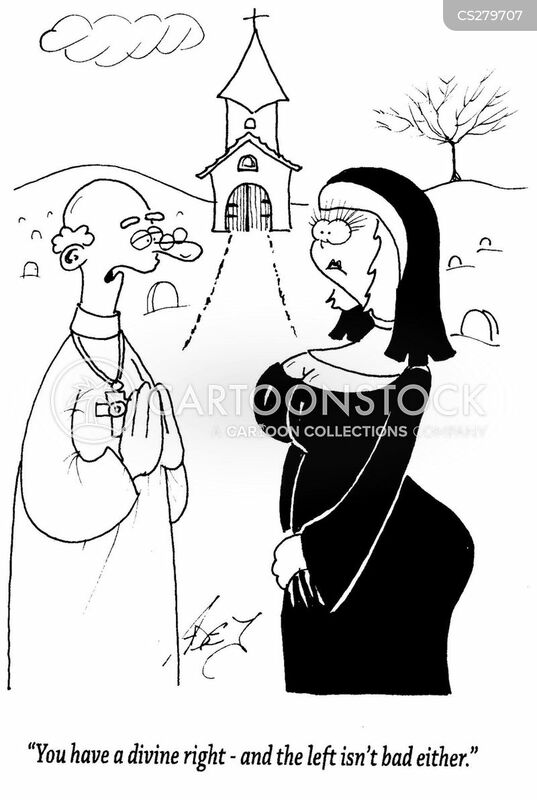 "You're a bride of Jesus now? 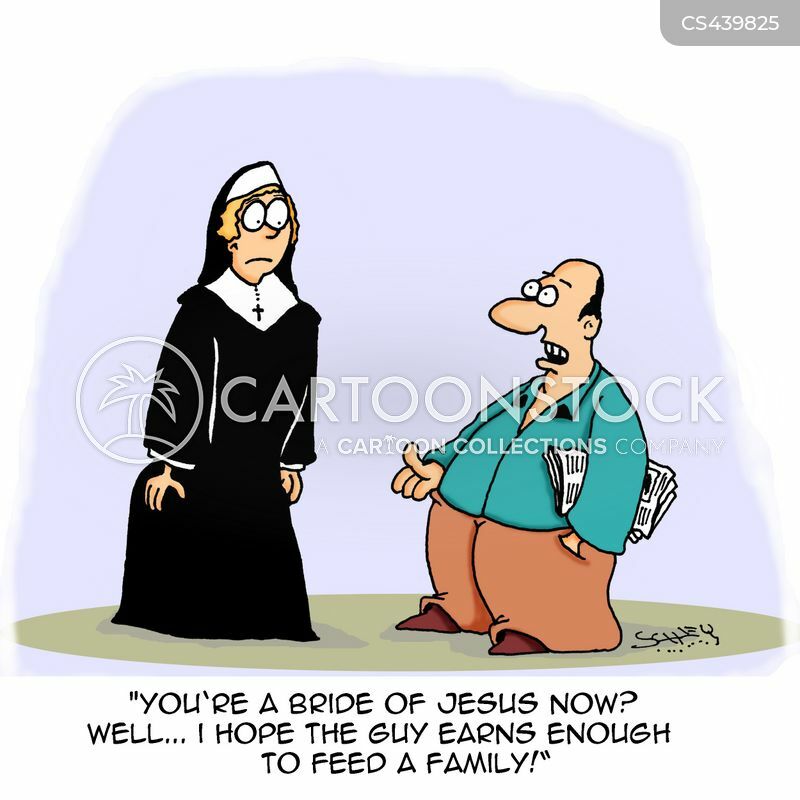 Well....I hope the guy earns enough to feed a family!" 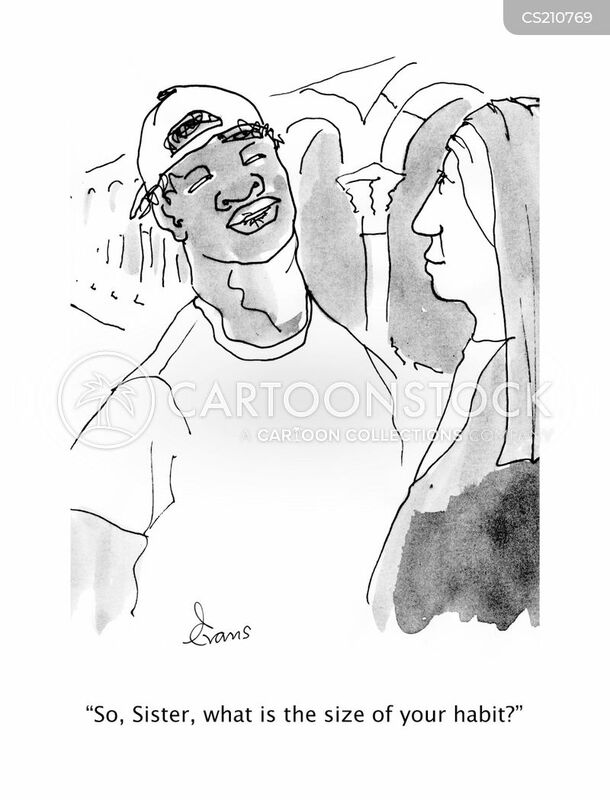 "You have a divine right - and the left isn't bad either."